Kids’ cereals are sometimes called sugar cereals, because unlike healthy choices such as oatmeal and shredded wheat, these kids’ cereals are full of sugar. As parents have grown more health conscious, the cereal makers adjusted their marketing to emphasize whole grains and such, but Cookie Crisp will never be health food. These cereals are probably better for you than Pop Tarts and at least you’re getting important nutrients from the milk. Companies such as General Mills and Kellogg’s market their products to kids with colorful boxes and fun characters to convince kids to get their parents to buy kids’ cereals we still love. Tony the Tiger is one of the great product mascots – would it matter what he was selling? I guess there’s something trustworthy about a apex predator wearing a handkerchief. Tony beat out mascot hopefuls Katy the Kangaroo, Elmo the Elephant and Newt the Gnu in 1951 to become the face of a new breakfast cereal from Kellogg’s. Frosted Flakes, also known as Frosties, went on to become one of the company’s most popular products. Tony’s flakes were second in sales in 2017 only losing out to Honey Nut Cheerios. Honey Nut Cheerios is a tasty cereal that could have made this list and it even has a cool bee mascot. But getting back to Frosted Flakes: they’re just Corn Flakes with a dusting of sugar, but the injection of sweet is exactly what that boring cereal needed to appeal to kids. Corn Flakes are for adults, but Frosted Flakes are squarely aimed at kids. Several variations of the popular flakes have been released over the years such as Birthday Confetti Frosted Flakes, Frosted Flakes Gold (sweetened with honey) and Chocolate Frosted Flakes. 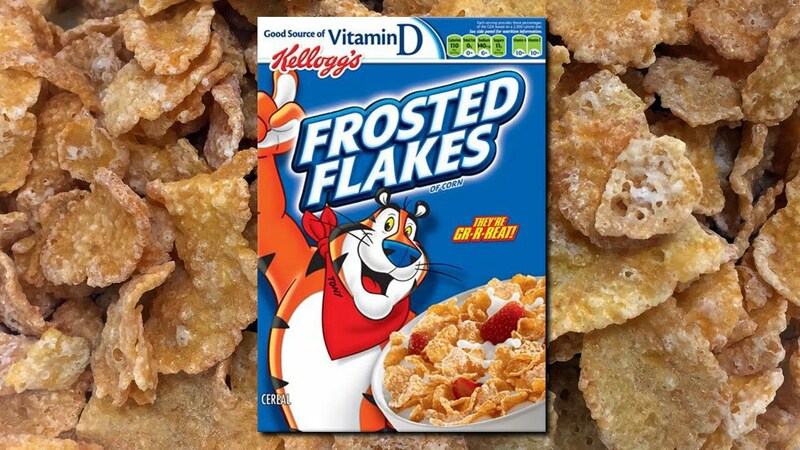 kellogg’s introduced Frosted Bran Flakes in 1991 describing them as “lightly frosted bran.” No on should confuse Frosted Flakes with health food, but its still GR-R-REAT! Toucan Sam can always smell out a bowl of Froot Loops. He is known for crying out “Follow my nose! it always knows!” This kids’ cereal made mostly from whole grain corn flour is known for its colorful rings that suggest the bright tropical birds and flowers of a distant jungle where Sam might live. The colors of the Blue Toucan’s beak, yellow, red and orange are the three original colors of Froot Loops. Although The fruit flavored breakfast cereal has been around since 1963 the additional colors – green, blue and purple loops were not added until the 1990’s. Contrary to popular belief, the cereal has a generic fruity taste; there are no individual fruit flavors corresponding to the different colors. Kellogg’s has produced several variations on the Froot Loop theme including a larger “Snack Ums” version and a snack bar that contains Froot Loops. Froot Loops was discontinued in the United Kingdom because of a lack of demand, but in 2017 a limited edition was released that contained unicorn shapes. Froot Loops cereal has been a favorite in popular culture with references on several television programs including All in the Family, The Middle and Two and a Half Men. 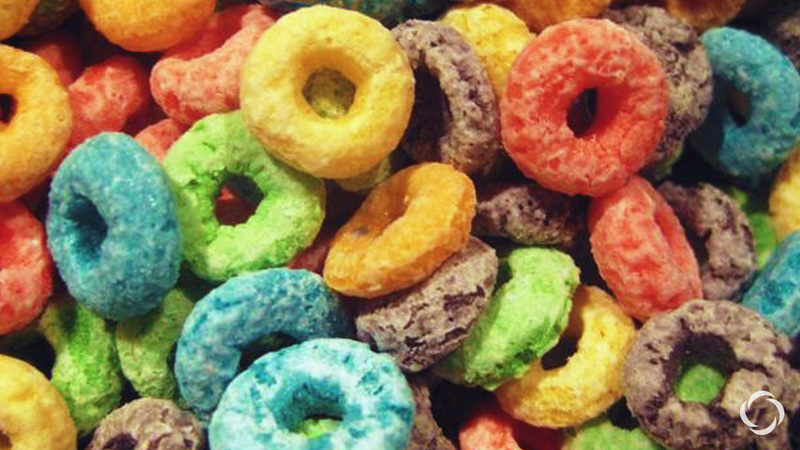 The sweet, crunchy loops in rainbow colors are a kids’ cereal we still love. 8. Snap! 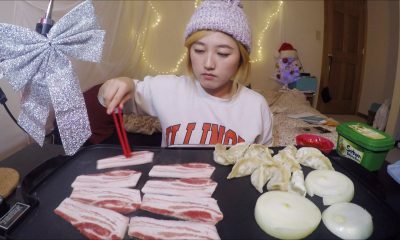 Crackle! 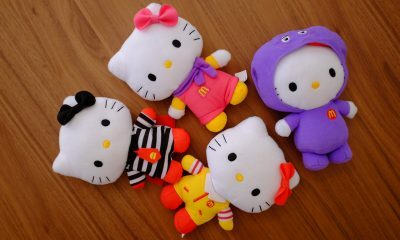 And Pop! 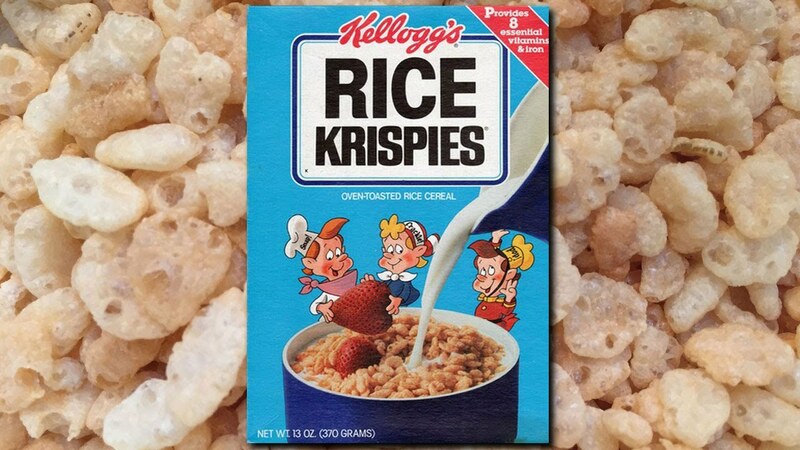 Kellogg’s began selling the toasted rice kids’ cereal under the brand name Rice Krispies in 1928. However, the three elf-like mascots did not appear together on boxes of Rice Krispies until a decade later. The mascots’ names: Snap, Crackle and Pop are a nod to the sounds Rice Krispies make when you add milk to them. The kinds of words are known as onomatopoeic: the words suggest or imitate the sounds they describe. 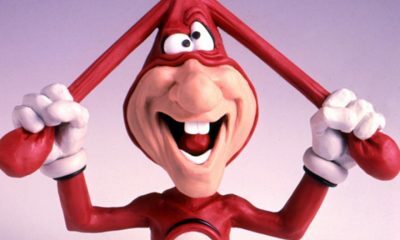 These characters were Kellogg’s first mascots and are the longest running piece of Kellogg’s marketing efforts. This rice cereal was a popular choice, but it received new fame in 1939 when a Kellogg’s employee named Mildred Day came up with a recipe for a treat made from Rice Krispies, marshmallows and margarine. These tasty new snacks were dubbed Rice Krispy Treats and they have been a hit with kids and adults ever since. Although for decades these treats were made from scratch at home, Kellogg’s eventually started producing Rice Krispie Treats of their own in a variety of flavors. 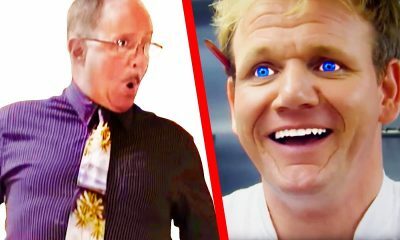 The tasty treats have arguably become more popular than the cereal we love. A quick online search will reveal dozens of Rice Krispie Treat recipes including a number of holiday themed versions. People of a certain age may remember when Kellogg’s Honey Smacks were called Sugar Smacks. However, the power that be at the food giant decided “Honey” Smacks sounds less like junk food than “Sugar” Smacks so after about 30 years the sugary, puffed wheat cereal underwent the change in the 1980’s. A 2008 study by the magazine Consumer Reports found that Honey Smacks is the Kellogg’s cereal with the highest sugar content – more than 50 percent by weight. Apple Jacks is a close second at almost 50% by weight. This of course makes its original name Sugar Smacks, completely appropriate. Dig’em Frog is the mascot most of associate with Honey Smacks, but there were at least 5 previous mascots including the Hanna-Barbera cartoon horse, Quick Draw McGraw, who represented the cereal in the 1960’s. Dig’em took over as the mascot in 1972, but was replaced in 1986 by Wally the Bear to coincide with the change to the name Honey Smacks. 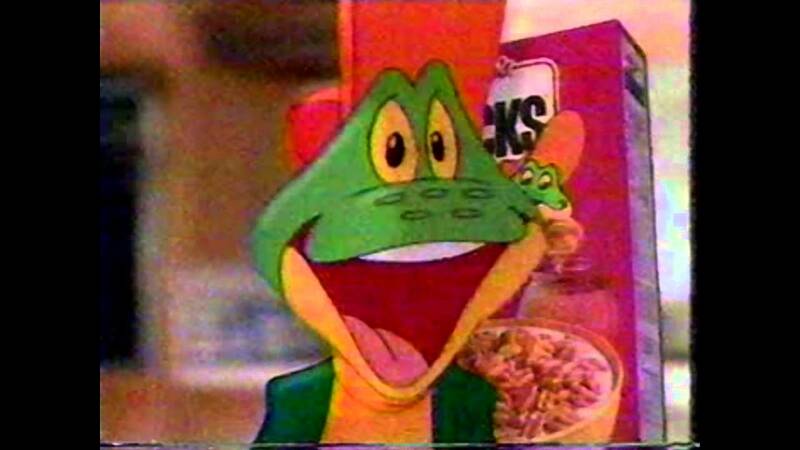 Kids didn’t warm up to Wally, however, and the following year Dig’em Frog reclaimed the Honey Smacks mantle once and for all. Kids love Dig’em and we continue to love this kids’ cereal. I’m not sure why, but Count Chocula, introduced by General Mills in 1971, is the kids’ cereal I’ve remained the most attached to as an adult. 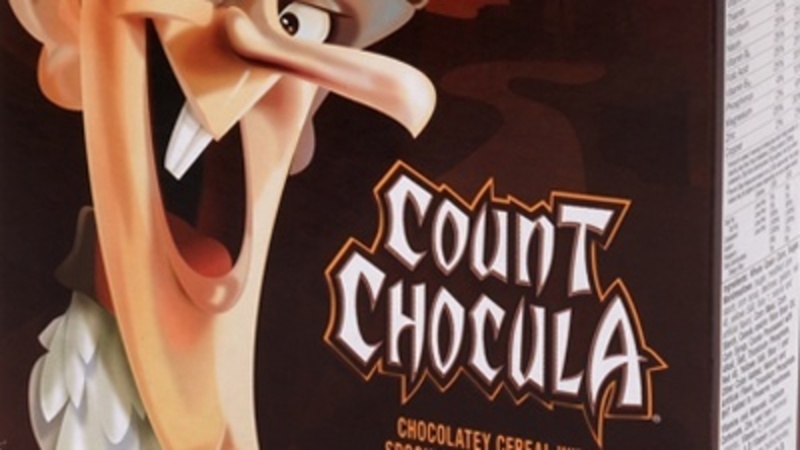 I suppose its not too hard to figure out: its a sugary, chocolate flavored cereal with chocolate marshmallows and its hocked by a cartoon vampire named Count Alfred Chocula – what’s not to like? Count Chocula is part of a line of monster cereals that also includes Franken Berry and Boo Berry. These three cereals were the most popular brands, but there were two additional monster cereals that are not as well known. Both Fruit Brute and Yummy Mummy had short runs and were discontinued. However, they are revived occasionally for short runs around Halloween. For number of years I thought I had imagined the Fruit Brute cereal as a child until the internet confirmed its existence for me. Alfred the Vampire is of course a take off on Bela Lugosi’s vampire from the 1931 classic movie, Dracula. Frankel Berry is reminiscent of Boris Karloff’s character from Frankenstein, also released in 1931. The Count Chocula cereal was developed in the late 1960’s but the marketing campaign took a little longer. 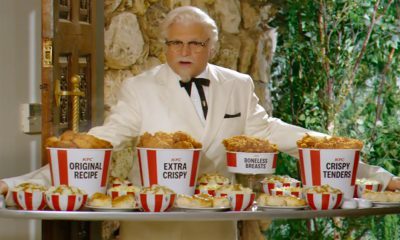 The count idea emerged early, but General Mills took its time refining the idea hoping the result would be able to compete with kids’ favorites like Tony the Tiger and Captain Crunch. In recent years Count Chocula and the other monster cereals have become coveted by hungry consumers around Halloween. I don’t care what time of year it happens to be – its a kids’ cereal I still love. This toasted oat cereal with the colorful marshmallows has been a kids’ favorite since 1964. A General Mills product developer came up with the idea for Lucky Charms after experimenting different combinations of cereals and candies. One of the concoctions that inspired the product developer was a mix of Cheerios and marshmallow Circus Peanuts. 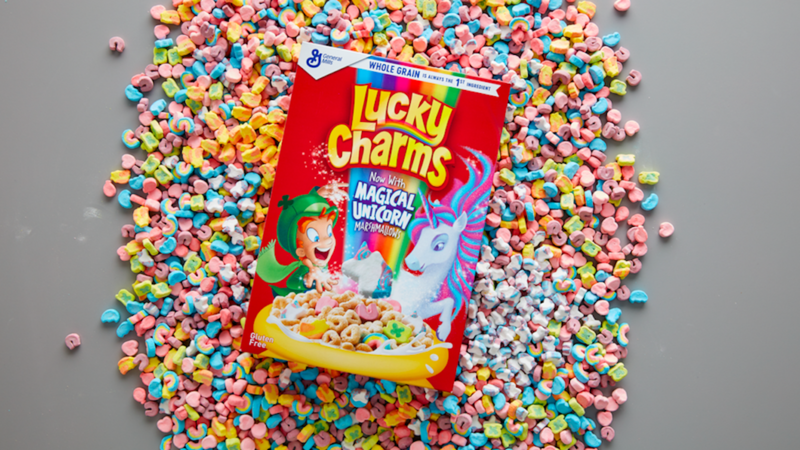 Lucky Charms is the first cereal to include marshmallows, and it has spawned a number of kids’ cereals that include colorful marshmallow shapes. The original marshmallow charm lineup was: pink hearts, yellow moons, orange stars and green clovers. Blue diamonds were added in 1975 and over the years a number of shapes were added and discontinued. These were not random changes however. General Mills found through years of market research that changing the marshmallow shapes once in a while led to a noticeable increase in sales of the cereal. This revelation motivated the company to make regular changes to Lucky Charms. Everything from hour glass to unicorn shapes have been a part of the colorful Lucky Charms marshmallow mix. In keeping with the Lucky Charms theme a Leprechaun named “Lucky” was chosen as the mascot who was fond of saying “They’re magically delicious.” They are delicious, but even though they’re made from oats we know they’re not all that nutritious. This hasn’t eroded their popularity one bit – Lucky Charms remain a kids’ favorite. Trix cereal hit the supermarket shelves in 1954 as a sweetened version of General Mill’s Kix cereal. This corn-based cereal originally used sphere shapes, but in 1992 they were changed to fruit shapes. They were switched back to their original sphere shapes in 2007. However, in 2018, General Mills felt it necessary to change back again to the fruit shapes. 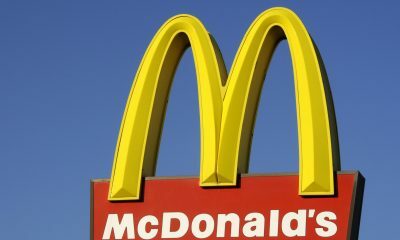 It is not yet clear when the company will decide to change back to the original sphere shapes again. Trip originally had three flavors/colors: Orangey Orange, Lemony Yellow and Raspberry Red. Other flavors/colors were added over the years including Grapey Purple and Lime Green. I ate Trix when I was a kid, but it couldn’t compete with my chocolatey favorites. Although, if Trix happened to feature a cool toy I could be persuaded. Tricks, the Trix Rabbit has been the cereal’s mascot since 1959. He could be seen as a precursor to the Energizer Bunny because Trix exerted a lot of energy trying to get his paws on a bowl of tasty Trix. 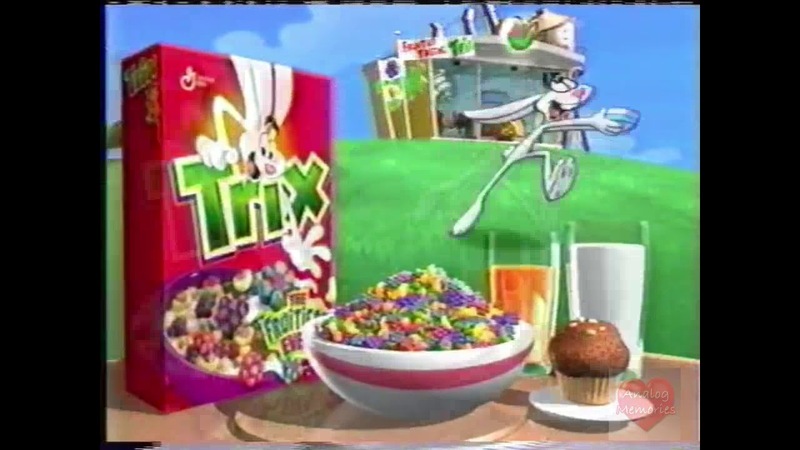 Trip is known for trying to trick kids into giving him a bowl of cereal, but he always manages to fail and for his trouble he is treated to the line “Silly rabbit, Trix are for kids.” Trix may be for kids, but it seems plenty of adults still love an occasional bowl of this fruity breakfast cereal. 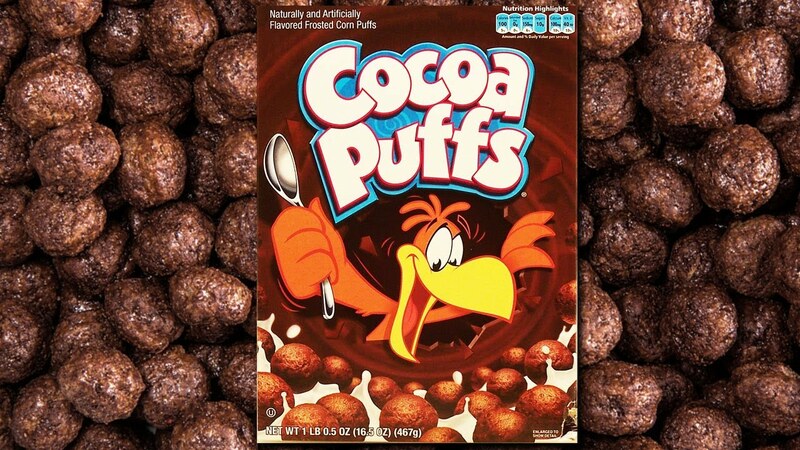 “I’m cuckoo for Cocoa Puffs” has long been a popular marketing slogan for this chocolate flavored rice, corn and oat cereal. Cocoa Puffs was introduced in 1958 by General Mills and is a variation of the popular Kix and Trix cereals. The company unveiled Sonny the Cuckoo Bird in 1962 along with his famous catch-phrase. Even when I was a child Sonny’s antics seemed a little over the top. Yes, Cocoa Puffs are a tasty cereal, but he would work himself up into quite a frenzy for a single bite. 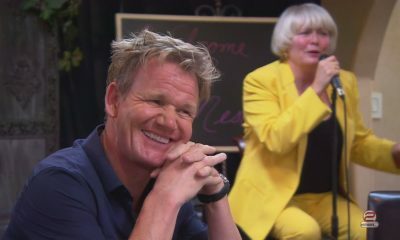 For most of his career Sonny was depicted wearing a white and pink stripped shirt, but in 2004 the character was redesigned and now he doesn’t wear any clothes. I don’t believe General Mills has provided an explanation for getting rid of the shirt. Cocoa Puffs are known for turning the milk in the bowl into tasty chocolate milk and not surprisingly, this is a popular feature with a lot of kids. The round chocolate flavored shapes have become a popular ingredient in many dessert recipes. These recipes include milk shakes, snack bars, cereal party mix and a topping on doughnuts and cheesecake bites. Chocolate is usually a safe bet when it comes to kids and Cocoa Puffs is no exception. Cocoa Puffs continues to be a kids’ cereal we love. You have to admire the makers of Cookie Crisp cereal. There’s no pretending or hedging they’re called COOKIE Crisp. They are little chocolate chip cookies. Isn’t eating chocolate chip cookies for breakfast a fantasy for most kids? This must have been what the flavorists at Ralston Purina asked themselves when they decided to push ahead with a cookie cereal. The cereal debuted in 1977 from Ralston Purina, but it was sold to its competitor General Mills in 1997. Cookie Jarvis, a wizard, was Cookie Crisp cereal’s first mascot. Jarvis was depicted as a wizard and he used his magic wand to transform cereal bowls into cookie jars. Cookie Jarvis was replaced in 1985 by the Cookie Crook who went around trying to swindle kids out of their precious bowls of cereal. A Cookie Cop was also introduced who tried to capture Cookie Crook, but he had only limited success. Several varieties of Cookie Crisp have been introduced over the years including Double Chocolate Cookie Crisp, Vanilla Wafer Cookie Crisp, Cookie Crisp Sprinkles and Cookie Crisp Brownie. 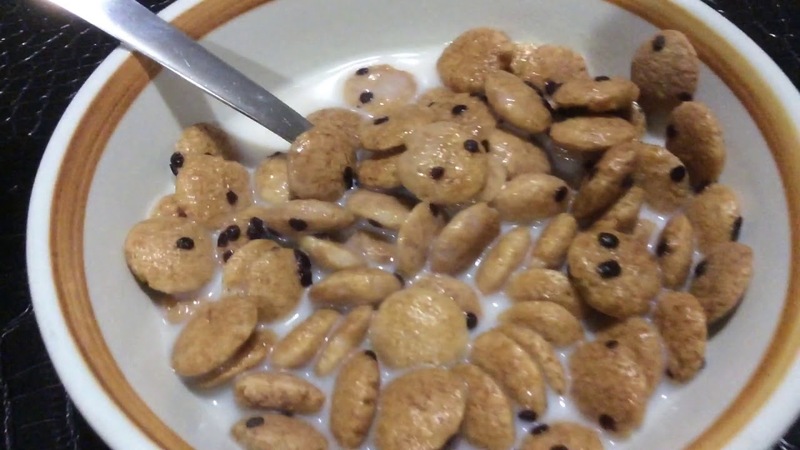 General Mills changed their recipe for the cereal, but some customers were unhappy with the new Cookie Crisp recipe. Some dissatisfied customers tried to find alternative products to satisfy their breakfast cereal sweet tooth. Other companies offered similar cereals for customers who wanted a product that tasted more like the old Cookie Crisp recipe. Kellogg’s introduced a competitor in 2008 with its Keebler Cookie Crunch. Parents could not have been very happy that General Mills was pushing a chocolate chip cookie cereal, but its one of the kids’ cereals we still love. Cap’n Crunch is a sweetened corn and oat breakfast cereal created in 1963 by the Quaker Oats Company. A flavorist named Pamela Lowe was inspired by one of her Grandma’s recipes that featured brown sugar and butter served over rice. 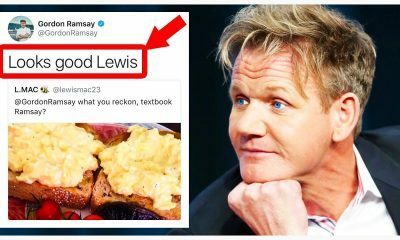 Wouldn’t brown sugar and butter be good served over pretty much anything? Cap’n Crunch is one of the more beloved kids’ cereal mascots and has quite a following with web sites devoted to all things crunch. 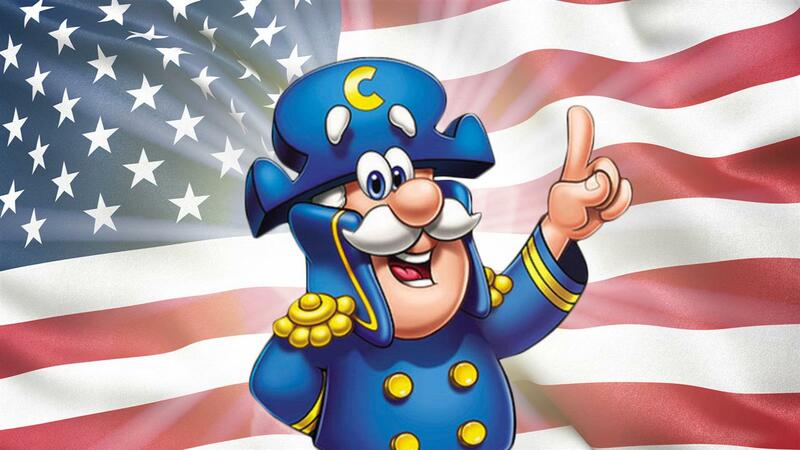 According to cereal legend Horatio Magellan Crunch was born on Crunch Island somewhere in the Sea of Milk. He helms the Good Ship Guppy. The captain s charged with keeping the cereal save from the likes of the pirate Jean LaFoote. I always thought the Cap’n should have some crew members to help him hunt down LaFoote. Back in 1965 Quaker Oats must have thought so too because it included Cap’n Crunch Crew Kits in boxes of cereal so kids could become part of the action. In the 1970’s LaFoote was the mascot for his own cereal called Cinnamon Crunch cereal. There have been quite a few variations of Cap’n Crunch cereal over the years including Cap’n Crunch’s Crunch Berries, Peanut Butter Crunch and Oops! All Berries. Oops! All Berries was introduced in 1997 and featured only the berry pieces and no crunchy pieces. This variation was discontinued after a year, but has made limited appearances since then. In 2006 a limited edition Cap’n Crunch was released as a tie-in to the movie Superman Returns. The blue Superman shield shapes turned the milk blue and were just one more reason why we still love these kids’ cereals.